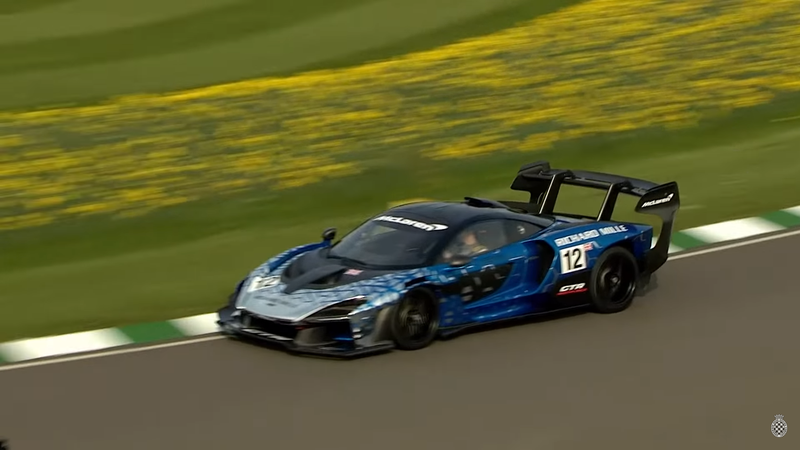 This weekend marks the 77th Goodwood Members Meeting, and McLaren took this as an opportunity to launch its newest track-only hypercar—McLaren Senna GTR—to the public. There is no better racer to stuff into the cockpit than one carrying the same surname, right? With former Formula One racer Bruno Senna at the wheel, it makes its first laps under the scrutiny of public life. Somehow this works aesthetically far better as a race car than it does as a street car. In the lead up to the sadly paced exhibition laps, Bruno is asked what his uncle might have thought of this wild machine. Considering how far tire, powertrain, and aerodynamic sciences have come in the decades since the great Ayrton Senna died, it’s likely he would have been astonished that anything resembling this car might even be possible. Because it is so light, grippy, powerful, and focused, Bruno reckons his uncle would have been a fan. Who am I to say he is wrong? Ayrton probably would have loved this wild machine. With over 800 horsepower under control of throttle foot, a full GT3-style race suspension setup, slick tires, 2000 pounds of downforce, and just 2600 pounds of heft to toss around, the Senna GTR is a modern marvel. Sadly, it’s also mega expensive, limited production, and will nary be seen by plebs like you or I. Is this the apex of human ingenuity? Building toys for the wealthy to hide away from the light of day? Surely we can endeavor to better. Like street legal McLaren GTRs for the masses.